When Japan’s tsunami struck, it received instant coverage. The gigantic wave looked like something out of a movie, and those outside its reach were fixed to monitors then televisons watching the destruction. But there’s been a similar tragedy striking Thailand, in the form of a flood that’s among the worst ever recorded. While the tsunami bludgeoned Japan dramatically, Thailand’s flood is attacking the country with a war of attrition that has drawn less attention. Official estimates put deaths directly related to the flooding in the hundreds, but with millions displaced and lacking crucial supplies, the suffering is impossible to measure. There are hundreds of thousands of people who will never be the same because of this disaster. The flooding, which began in October, may in some areas last well into November. Many businesses have had their facilities rendered inoperable for weeks, and even after the floodwaters recede, it will take weeks or months to repair them. A number of hard drive companies, including Western Digital and Seagate, are among those impacted. In October, as the full extent of the flood became apparent, analysts began to speculate that hard drive prices would increase. Now that has become true. And this is no mere 10, 30 or even 50 percent jump. In many cases, prices have doubled. In mid-October, Newegg still listed a number of 5400RPM 2TB drives for around $70 to $80 dollars. As of November 1st, it’s impossible to by a new 2TB mechanical hard drive for under $149.99. Even the smaller 1TB drives are priced at $109.99, with the exception of a lone Samsung model, which is $79.99. As you might expect considering the price difference, it goes in and out of stock. This is a staggering change in price. It’s rare for a consumer product to so quickly sky-rocket. In this case, the driving force is likely the PC manufacturers. Rumors say that some went on a hard drive buying spree, knowing that it was only a matter of time before prices went up. Much like a bank run, speculation may have resulted in the situation becoming more severe. One might expect such a severe price hike to be a short-term phenomenon, but there is reason to believe that won’t be the case. Western Digital’s CEO, in an open letter on the company’s website, has asked for customers to be patient for “the next few quarters," suggesting that the company will not be back at full production capacity until mid-2012. Meanwhile, industry research firm iSuppli has stated that the shortages might go on for long enough to disrupt computer manufacturing in early 2012, as the stockpile of drives begins to run thin. It’s not hard to understand why the situation may take months to resolve. Floods are notoriously difficult on the communities that endure them because they entirely disrupt services and cause widespread damage. Any electrical equipment, including the wiring of the factories themselves, will need replacement or significant repair. Mud deposits will have to be removed. Walls that have lost their load-bearing ability after weeks in water will have to be replaced. And as if this weren’t enough, it may take some time for the repairs to begin, because the hard drive companies will first need to make sure they can supply adequate food, water and shelter to their workers, as public services may be damaged and non-functional. Skilled workers themselves may be in short supply due to difficulties in transportation and those tragically lost in and after the flood. 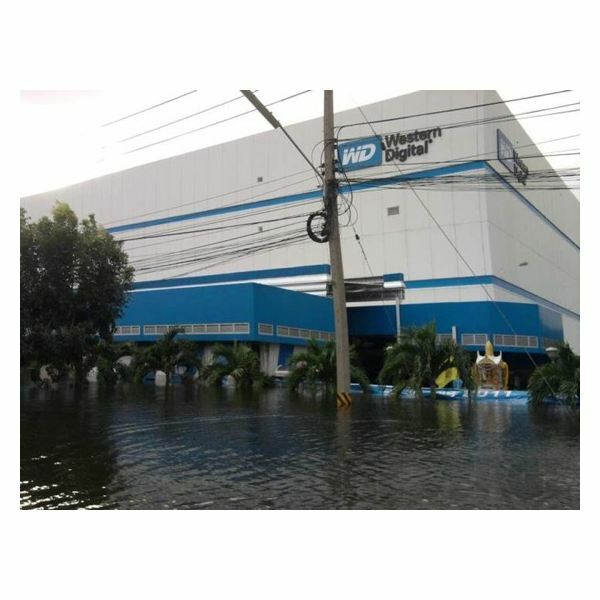 Only time will tell us how long it may be before hard drive production resumes in Thailand. If the flooding continues, or repairs are slowed for any reason, the shortages will last well into 2012. In this situation, we will see the problem significantly impact the computer industry as a whole. Mechanical hard drives are in many devices including not only PCs but also game consoles and media players. All of these products could have their pricing increased. In the short-term, this is unlikely to be an issue due to efforts by manufacturers to stock up on drives. As the months go on, however, the situation will not improve unless repairs can be quickly completed. This could not happen at a worse time for the computer industry, either. The holiday season drives demand in much of the world, but with each device sold, the hard drive stock will dwindle further. Price increases could be closer than we think. So, what do you do with this information if you are in the market for a hard drive? If you can wait, your best solution is probably to not buy one. The huge increase in drive pricing has sent a clear message. The big PC manufactures are going to snap up drives where they can, and that will leave little stock for the consumer market. I would not be surprised to see prices increase further before going back down. Those who really need a drive might want to consider the benefits of a solid state drive. The memory chips used in SSDs are not made at the same factories, so their pricing should not be impacted by these shortages. Increasing mechanical drive pricing has done nothing to change the fact that SSDs have a far higher per-gigabyte cost than their mechanical brethren, but the gap between the two has decreased. Now just might be the right time to justify the expense of the faster drive.